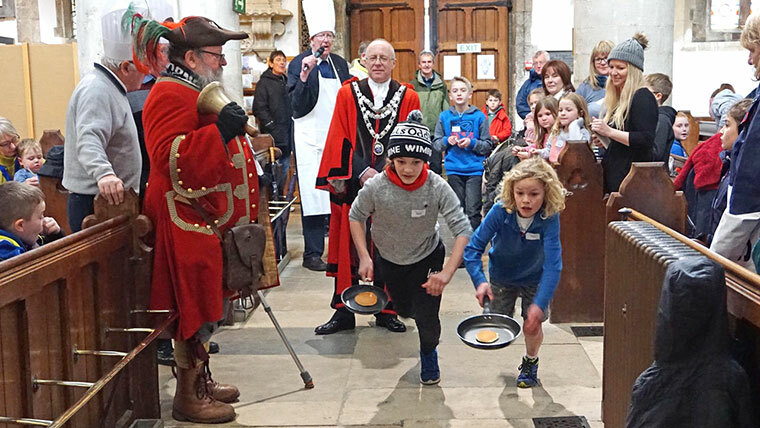 For the first time in 21 years and against all odds, the Minster in Wimborne threw open its doors on Shrove Tuesday (13 February) and welcomed competitors young and old inside the historic church for the pancake race. 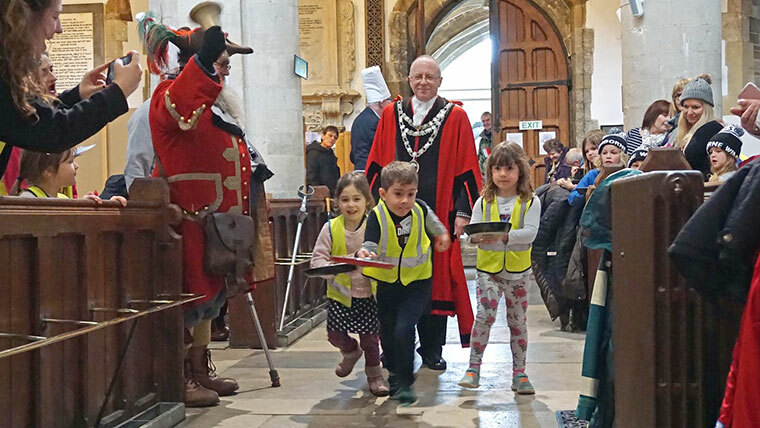 Usually run outside, bad weather tried to force cancellation of the Minster Pancake Race, as it had done in Christchurch. 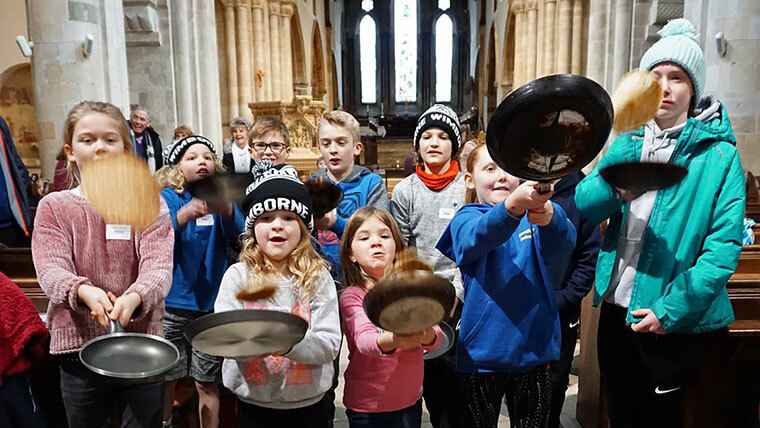 Things got more complicated when 22 adults arrived. 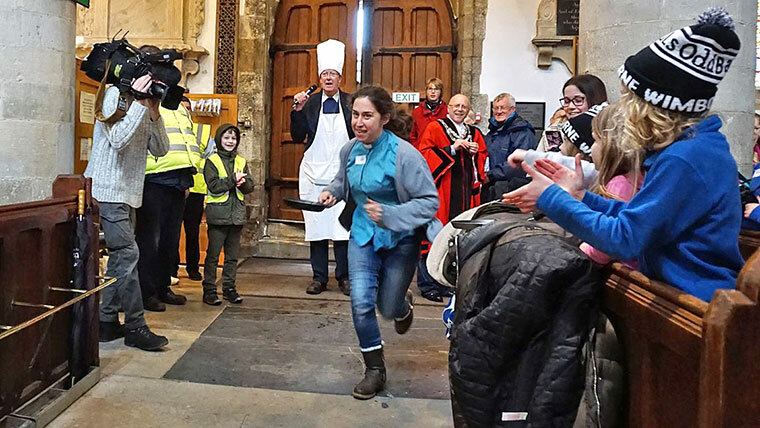 But divine intervention saw them competing individually, being timed for their run down the nave and around the aisles, tossing their pancakes at the four corners. Last year’s winner, Philip Goymer, lifted the trophy after a successful run lasting just 12 seconds. 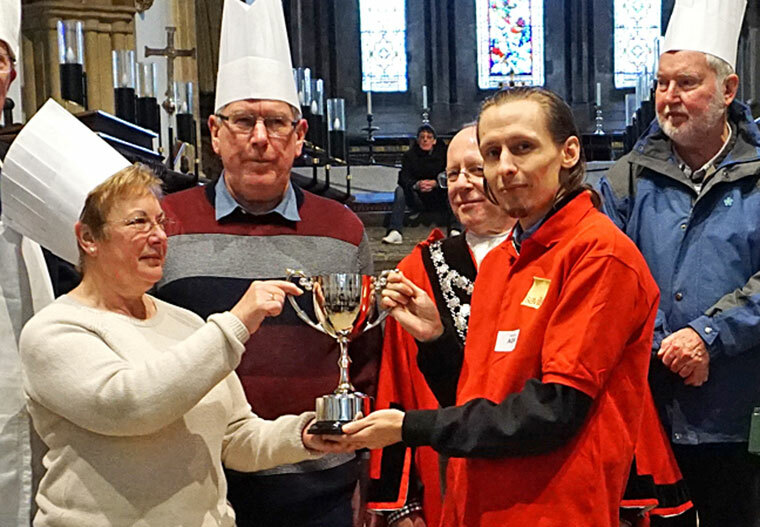 He received the new John Loader Memorial Cup, donated by Martyn and Kathy Curtler, which has replaced the previous, ‘Old Bakehouse’ trophy.